The GCSE exam season will run from Monday 14th May 2018 until Wednesday 27th June 2018. 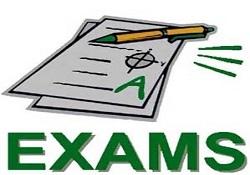 Please click here for the full GCSE exam timetable. Please ensure that you do not take students out of school during this time. The Academy will be open between 9.00 and 11.00 on Thursday 23rd August 2018 for the collection of GCSE results.